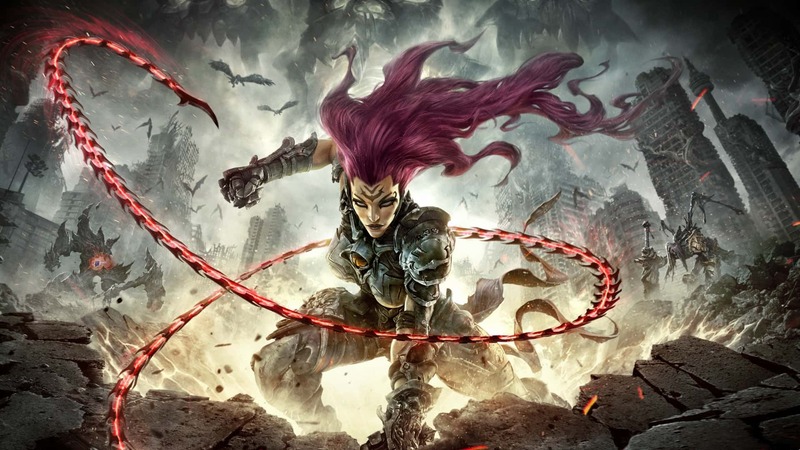 While the release date for Darksiders 3 got leaked thanks to a rogue listing for the game on the Windows Store, we now have official confirmation via IGN that the game will be releasing on November 27. As previously announced, it will come to Xbox One, PlayStation 4, and PC (sorry Nintendo Switch owners, you’re going to have to miss out on this one). In addition to the game, we also got the announcement for its collectors editions (yes, plural). The first of these will be the Collector’s Edition, coming in at $149.99. 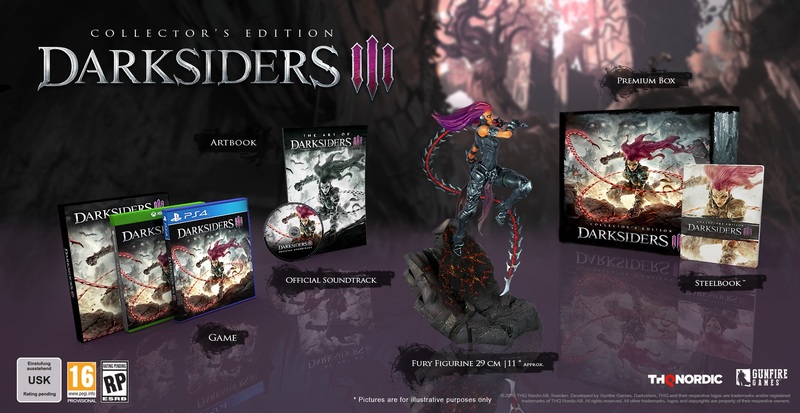 It will include a copy of the game, an 11-inch-tall Fury figurine, a premium box, a steelbook case, an artbook, soundtrack, as well as some cosmetic DLC. Then there is the $399 Apocalypse Edition, which comes with everything in the Collector’s Edition (including, yes, a copy of the game, since I know it’s a trend these days to sell these Collector’s Editions without those), as well as an exclusive premium box, a 30”x 40” wall scroll (with hanger), a 2-inch heavyweight amulet with necklace, and four figurines: Fury (11″ tall), War, Death, and Vulgrim (10″ tall each). So, yes, fans of the series will probably want to invest, especially in the latter one, I bet. You can check out a new trailer for the game, as well as videos showcasing both of the Special Editions, for yourself below.